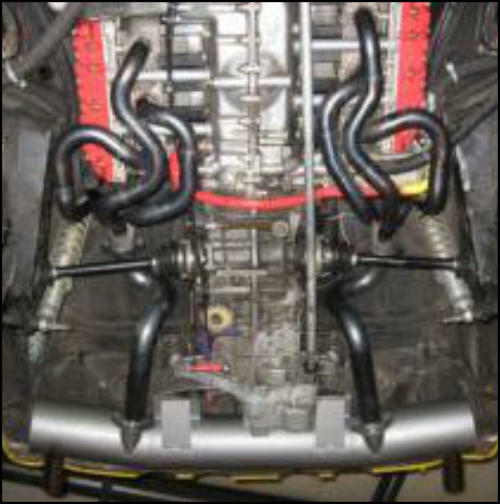 At last, a header for 914-6 conversions that fully utilizes state of the art acoustic tuning to achieve the highest available torque from stock aircooled 911 engines. 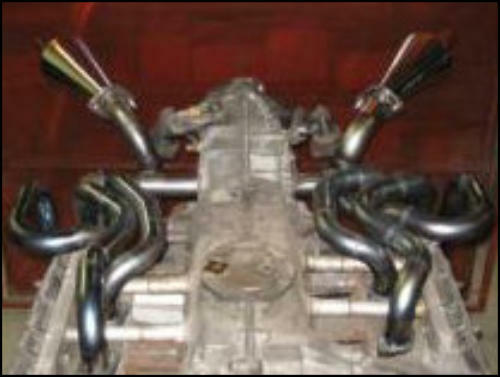 These headers have primary and secondary lengths optimized for peak power between 6000 and 6500 rpm. 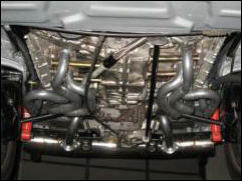 The EVO - Six Dual Outlet Silencer fits behind a WEVO 915 transaxle, yet still fits inside the rear valence. 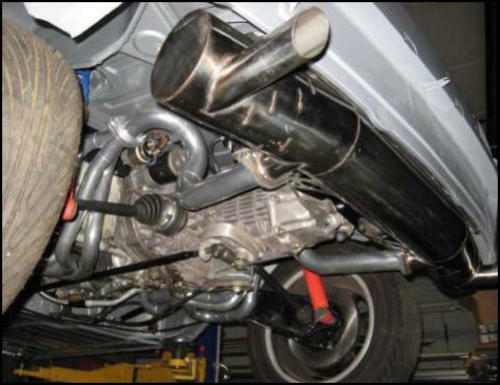 It is the quietest muffler of any we have heard on a 914-6 engine, with a deep throaty tone at idle, yet never unpleasantly loud at any rpm or throttle position. 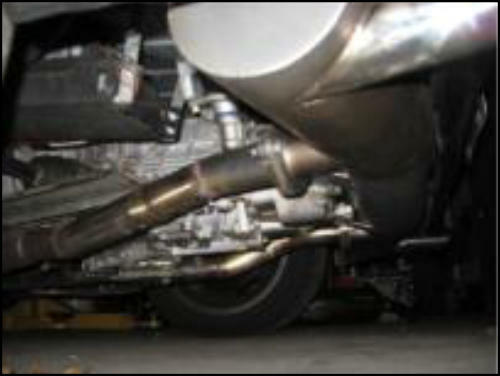 The free flowing design enhances peak power compared to other mufflers when installed on any -6 header. 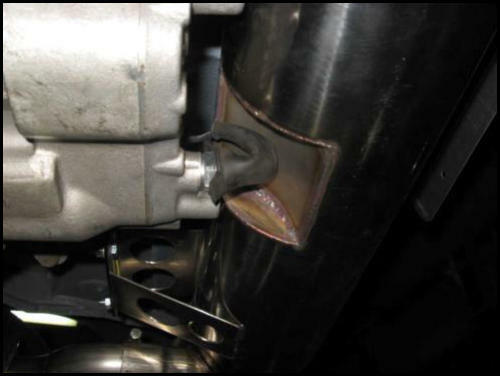 There is NO annoying resonance at cruising rpm typical of most dual outlet mufflers. 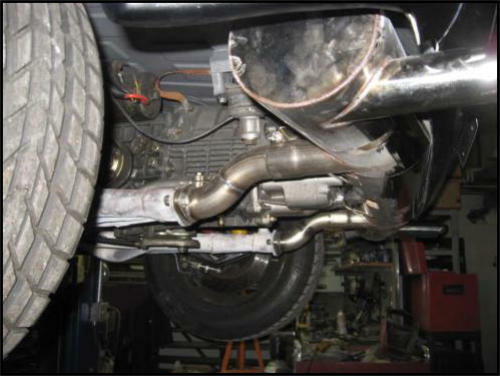 The muffler is available separately below. 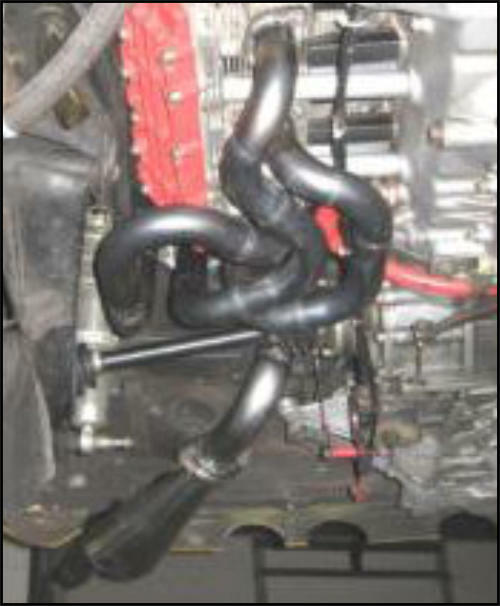 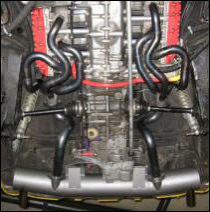 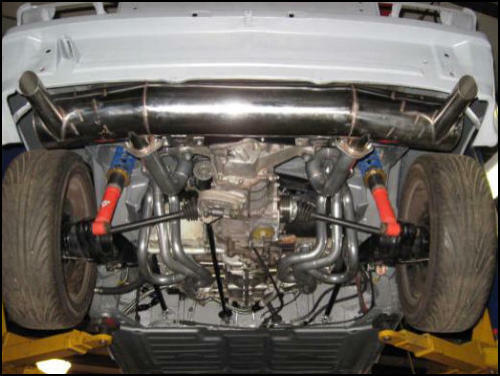 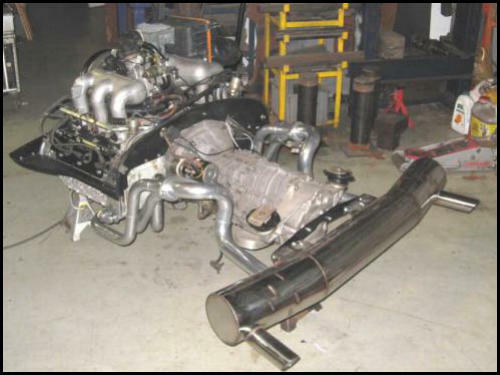 Minor modifications to other -6 headers (such as B&B) are required for fitment. 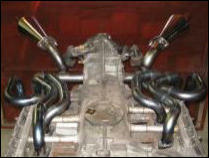 Tangerine EVO-Six Header Systems are custom built to order and may take 6 weeks or more to produce. 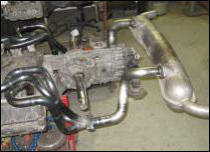 Standard - 2 1/4" Large - 2 1/2" Oversize - 2 3/4"
EVO Six Dual Outlet Silencer - $1395, shipping not included. 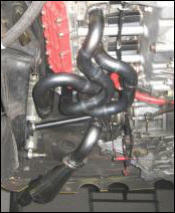 These are custom made to order. 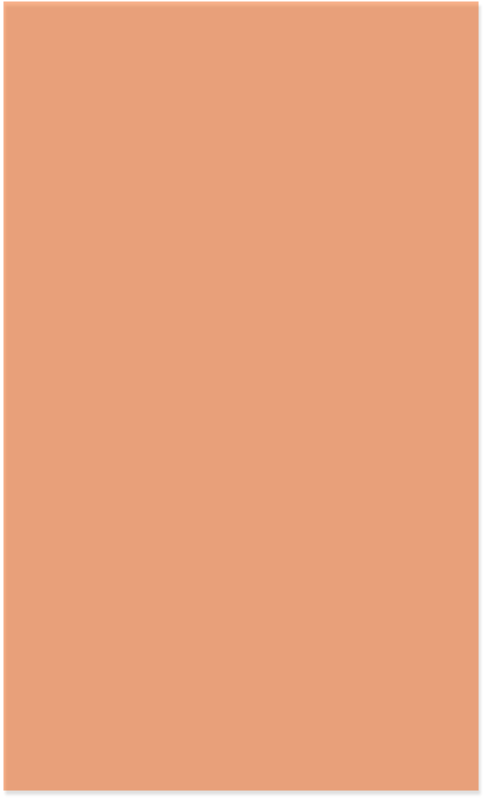 Please allow about 4 weeks. 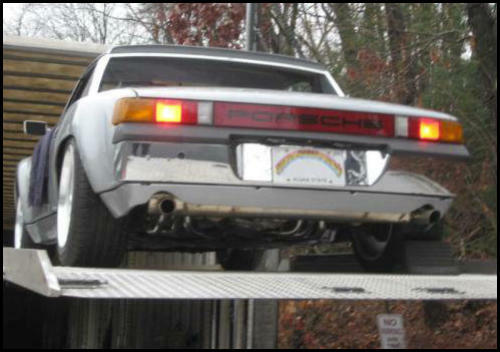 Shipping will be billed separately once we have your delivery address. 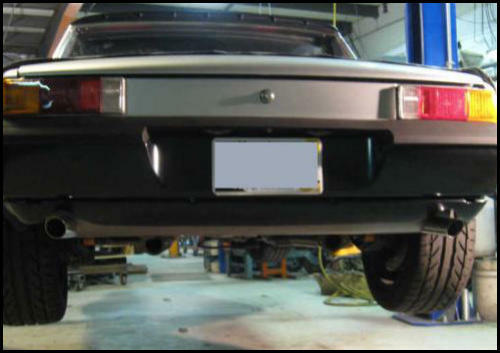 Ground clearance is greatly improved with this installation.